DMCC, the world’s leading Free Zone for trade and enterprise, announced that its Dubai Diamond Exchange (DDE) signed a strategic partnership today with Stargems, specialized in the sourcing and supply of the finest diamonds, to host a series of rough diamond tenders in 2018. The agreement enables international members, miners and suppliers to trade and distribute rough diamonds at Stargems events hosted at DDE’s state-of-the-art headquarters in Almas Tower, Dubai, the only World Federation of Diamond Bourses (WFDB) accredited exchange in the Middle East. “Dubai has fast emerged as one of the world’s top three diamond centres, and we are always looking at ways of nurturing and growing this footprint by connecting producers with buyers along the Dubai – Africa axis and beyond. 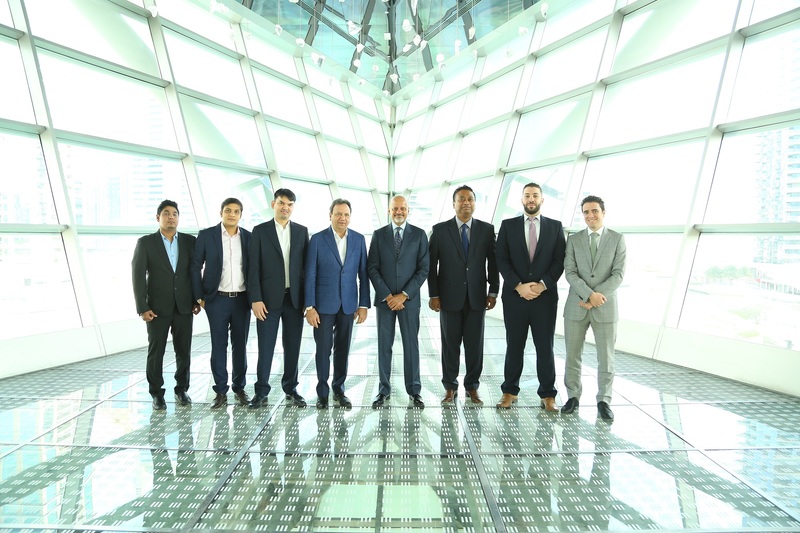 The Stargems collaboration is of course a welcome initiative as it further underscores Dubai and DDE’s position as the global destination of choice for the diamond industry,” said Ahmed Bin Sulayem, Executive Chairman, DMCC. One of the world’s top three diamond hubs, the DDE sits at the centre of Dubai’s diamond trading industry valued at 26 billion USD in 2016. “This is an exciting chapter for Stargems and we are thrilled to partner with the DDE, a facility that is synonymous with the highest possible industry standards,” said Shailesh Javeri, Chairman, Stargems Group. “The business case is clear. Diamond tenders are an increasingly important sales mechanism for us, through these tenders, we hope to bridge the gap between the diamond producing nations and the manufacturing units in Asia. This partnership will guarantee a secure and transparent tendering process in a regulated environment provided by the DDE.” Mr. Javeri added. DDE hosted tenders attended by over 130 international buyers in 2017 with the opening of Almas Diamond Services DMCC – the UAE’s first state of the art diamond polishing facility – in November further elevating the Dubai Diamond Exchange’s global standing.